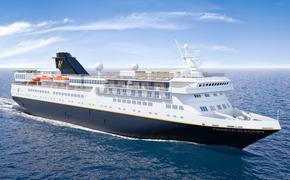 Crystal is offering discounted “Book Now” fares through Oct. 31 on 2012 voyages. All sailings will continue to feature two-for-one prices and free roundtrip air from more than 20 North American gateways (or air credits). Select sailings feature additional “Book Now” savings with as much as $4,000 per couple in fare reductions. Crystal vowed to review every cruise at the end of October, and raise prices on select voyages on Nov. 1. “Book now means exactly what it says. We want to ensure that those who book early enjoy the best pricing,” said Jack Anderson, senior vice president-marketing and sales. Starting in the spring, the Crystal Symphony and Crystal Serenity will include complimentary fine wines and premium spirits throughout the ship, open bar service in all lounges, and pre-paid gratuities for housekeeping, bar and dining staff. For more information, call 800-446-6620 or visit www.crystalcruises.com.